You are at:Home»LSAT»How Long Should You Study For The LSAT? This isn’t the kind of test where you can be walking through campus one day and see a sign on a building saying, “LSAT. TODAY AT NOON” and then say, “why not?” and take it. For one thing, LSAC doesn’t let you do this (you have to register in advance) and second, you would get an absolutely horrible score way below what you are capable of. Everyone needs some study to do well on the LSAT, but how much is optimum? There is probably not a perfect answer for everyone as to how long you should study for the LSAT. Some of it is going to depend on individual circumstances such as how much you have to work at a paying job or how well you able you are to focus on problems for hours at a time. 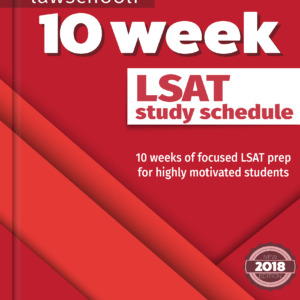 However, what we do know is that there is an ideal amount of study: Almost without exception, every LSAT prep student should read prep books AND do every published LSAT question. 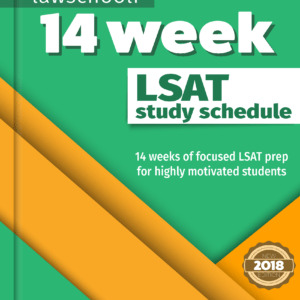 Instead of reading prep books on your own, you may wish to take a course which will provide you study materials and instruction, but you still want to do every published LSAT problem you can get your hands on. To master the LSAT, you have to learn how to do stuff that isn’t easy for your brain. The goal is to learn techniques that help you do these problems quickly and accurately. If that got you all the way there, this would be easy. However, you have to go beyond that. To master the LSAT, you have to practice these techniques until they become automatic. It takes time to do this. How long does it take learn the techniques you need and to do all these problems until the techniques become habit? You could obviously drag it out forever, but doing it slowly over a long period of time is not the best approach. The major prep companies and I agree on this: more concentrated prep is better than very long drawn out prep. 3 months is about the optimal amount of time to study for the LSAT. These intense schedules are the only detailed schedules available that make use of the top-rated LSAT prep books, the Powerscore Bibles. Attack with this schedule and you will significantly boost your score. I did a 12-week schedule nearly identical to this while I was working a full time job, but it was a relaxing job and seldom required OT. Also, I could study occasionally on the night shifts. If you work an intense full time job, you might have to extend your study schedule to four or even five months to comfortably do the required work. Now as to the minimum length of time you could ever get away with prepping, I think someone with no job and nothing to do besides study could conceivably get through all this in eight weeks or so. However, don’t try this unless you have a stellar attention span- a good three month schedule is intense enough as it is. My strong recommendation is that if you are going to take the LSAT, wait until you can devote 3 months to prep. I just don’t think the brain can make all the connections it needs to make with anything shorter than an 8 week schedule. We are here to help if you have questions about the proper length and intensity of prep. Ask in the comments section! How long before planing to enter law school should you take your LSAT? Is it possible to juggle the LSAT practice with the TOEFL? I’m planning to take both exams. I will be leaving my current 60 hour a week job in early June and plan on starting LSAT prep for October. If I do not take another job during tht time and just focus on my application, will that resume gap hurt me in the process? No, they understand that sometimes the LSAT needs to be a priority for a while, however, I would definitely do something with your time along side studying for the LSAT, if only because it will help you stay sane. A part time job can actually be good for your study because at least it gives you some time where you aren’t allowed to think about the LSAT. If not that, volunteering somewhere chill is good too. The #LSAT is a learnable exam! At first, it seems daunting… but with practice, you CAN master it! I feel good about what I’m learning so far, it just requires a lot of going over the material and practicing. I feel like I’m at the learning stage and a lot of people keep telling me to take prep tests, but I don’t feel ready. I had originally planned on taking October exam but Im not even 20 percent ready. I really need the 30 increase! Im taking a prep course right now but I need more time to go over the material so the class is not really helping, too fast for me. I need to learn the basics of the lsat. Well, though a 30 point increase is certainly never guaranteed, your best bet is to do every published prep question and read the books we recommend in about a 3 or 3.5 month space. If your course isn’t helping you do every published LSAT prep question then it isn’t a very good course. Restart with something decent like Blueprint or Powerscore right now while you have 3 months til the Dec LSAT, or else just self study. Follow our prep schedule for that. It’s linked above. Well, I opened the Powerscore book and it looks really helpful but I didn’t want to relearn the material again with new Strategies. So, I decided to just spend more time understanding the basics of my Testmasters course right now. May start taking prep exams at the end of September? When should I worry about timing? The problem is the course ends in October and I’m taking the December exam. I don’t have money to take another course but I have all their materials. I wont have access to their online material starting in Oct 5th, so I’m trying to practice/read as much as I can now. They don’t let you copy/paste nor print so I guess that’s how they make their money. Well, testmasters is a perfectly good course. If I were you, I would have already told them your situation and asked if you can have extended access to their online materials for no or reduced cost. Just stick with testmasters techniques and yes, start taking prep tests towards the end of september. By then, you should have enough experience from the course to start timing individual questions then fairly quickly move on to timed sections. I’ve been studying pretty inconsistently since late March (I had originally planned to write the June test but postponed because I didn’t quite feel ready). Now with the October LSAT approaching in just a little over 5 weeks, I feel more confident but still regret not going all in the past month or so. I’ve taken about 20 prep tests in total and have jumped from a 153 diagnostic to a pretty consistent 162. Do you think it’s feasible for me to expect to reach my goal of 168+ with intense prep the next 5+ weeks or so? I only work 15 hours per week and have no other commitments. I think it’s possible but it’s maybe not ideal. This is one of those tough calls because you partially spoil the material you burn through now for later use should you have to retake. Honestly though, that’s a good bump in score for the relatively little prep you’ve done so far. If you want to really hit the gas I think you’ve got a decent shot at seeing the desired results. Maybe see what you can do with a couple weeks of intense study and reevaluate. Sorry I can’t provide a more decisive answer. I have begun studying for the LSAT already and plan to take it in December. I have read other posts talking about the drop in law school applicants in the past 5 years due to rising costs and the poor job market for graduate, I read there are 2 graduates for every 1 job. I feel that I have a solid chance of gaining acceptance into a top 25 law school with some scholarships being awarded to me, and I think I will be able to crack the top 15 if I can score well on the LSAT. 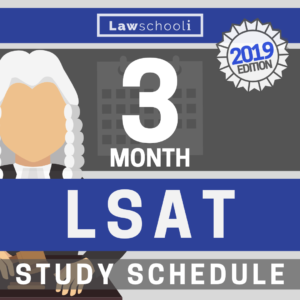 My issue is that I do not think I will score my best taking the LSAT this December because I am working full time and taking 19 units (although school is not challenging me, it just takes up my time). I feel that if I start studying now a little each day and then more intensely next semester when my demand from school is far less I will be able score far better on the February of June test. However, that forces me to either miss all the application deadlines or at get them in so late that my chances of acceptance and getting any scholarships has dropped tremendously. Based on the drop in applicants, poor job market (which I am not particularly concerned with because by the time I graduate the job market can be entirely different), and time constraints should I plan for the June test and simply take a year off from school and work, starting law school in Fall 2015? Any thoughts and insight would be greatly appreciated. Thank you. I recommend that everyone only take the LSAT when they feel they can give it the full attention it is due. It certainly seems like you should be waiting until Feb or June. In that case, yes, it’s probably best to wait to apply until the following cycle. I am skeptical that anyone applying in spring or summer is maximizing their opportunity for scholarships. Things in the job market seem to be getting a little greener year by year, so waiting and keeping a watchful eye on things is fine. Just make sure you are doing something meaningful with any time between undergrad and when you apply to law school. It’s fine to take time off to prepare for the LSAT but after that you should be busy with something positive. I am doing a lot of animal rescue work, activism, volunteering and I also work at an engineering firm as an intern. Should I start another internship at a legal firm? That doesn’t seem realistic though because I need to still get paid during this time off.